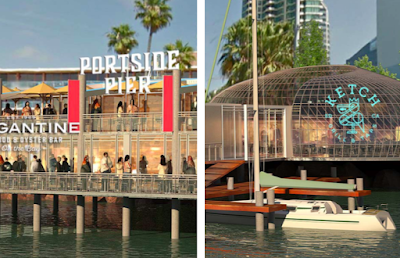 The Port Authority has recommended the Brigantine's Portside Pier proposal as the frontrunner for the Anthony's Fish Grotto space at San Diego's Embarcadero North. Anthony's has occupied the prime waterfront location for more than 50 years, but their lease will expire at the end of January 2017. 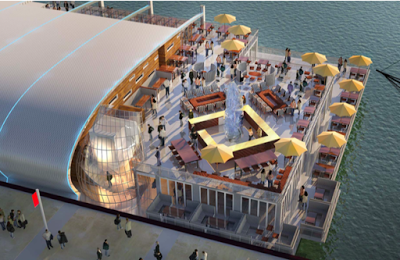 Three proposals were initially chosen as finalists for consideration, including that of The Brigantine, Inc (owners of Brigantine & Miguel's restaurants), as well as one from Anthony's and another from Sunroad Enterprises that included restaurants by the Cohn Restaurant Group (Blue Point) and CH Projects (Craft & Commerce). 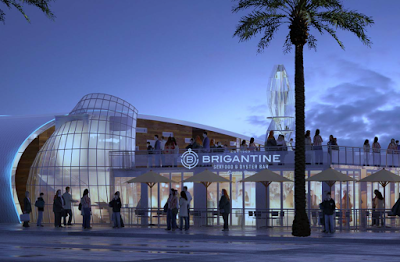 Following a competitive selection process, the Board of Port Commissioners will consider a staff recommendation to move forward with a redevelopment proposal from San Diego-based restaurant developer and operator The Brigantine, Inc. at a regular meeting on November 17, 2015. As part of efforts to promote quality development to enhance San Diego’s position as a world-class tourism destination, in May 2015, the Port of San Diego initiated a competitive selection process for redeveloping the iconic waterfront restaurant location at 1360 North Harbor Drive in San Diego. The site has been operated by Anthony’s Fish Grotto of La Mesa for over 50 years. 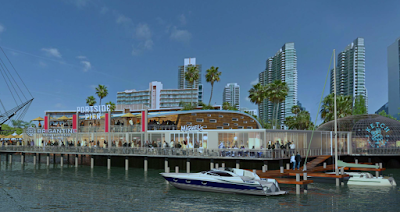 With the restaurant built on a platform over the water, this is one of the flagship waterfront sites in Southern California. The 52-year Anthony's lease expires January 31, 2017. The Port of San Diego issued a Request for Proposals and received six responses. Three proposals were moved to the next phase of the procurement process and of those, The Brigantine, Inc. is now being recommended to move forward with negotiating a lease. At the upcoming meeting, the Board will consider the recommendation; the Board has the discretion to accept, modify or reject it. Staff believes that The Brigantine, Inc.’s proposal is strongest in two key areas - improving public access to the waterfront and maximizing the lease revenue potential of this location. 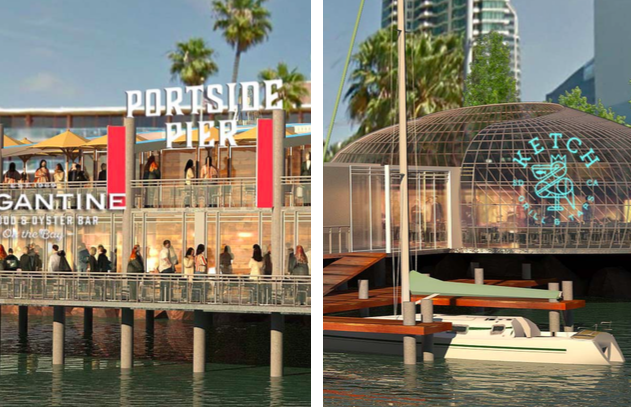 The company’s proposal is the only one to offer both “dock-and-dine” improvements and the construction of a public viewing deck. The Brigantine, Inc.’s proposal also offers greater revenue value to the Port, which was projected at $1.6 million higher over the first 10 years of a lease than the second highest proposal. A summary of relevant selection criteria, as well as the top three respondents’ concept renderings, are in the public Board agenda report. The full proposals submitted by the respondents remain confidential pending completion of negotiations. The Port is the steward of the waterfront of San Diego Bay, making it the landlord and regulatory agency overseeing the North Embarcadero, including this site. 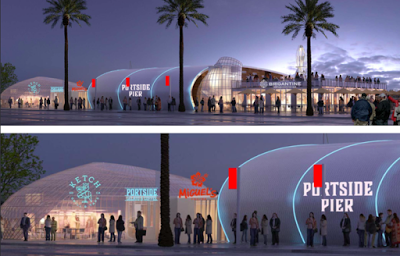 The Port's commercial real estate portfolio along the five-city waterfront also includes more than 70 restaurants, 16 hotels, as well as three retail centers, along with museums and other attractions. The revenues generated from Port lands help the Port carry out its mission - including environmental conservation projects and the operation of 22 public parks - without relying on traditional tax revenues. To learn more about the finalists' proposals for the Embarcadero North space, visit sandiegoville.com/2015/08/sunroad-enterprises-and-brigantine.html.